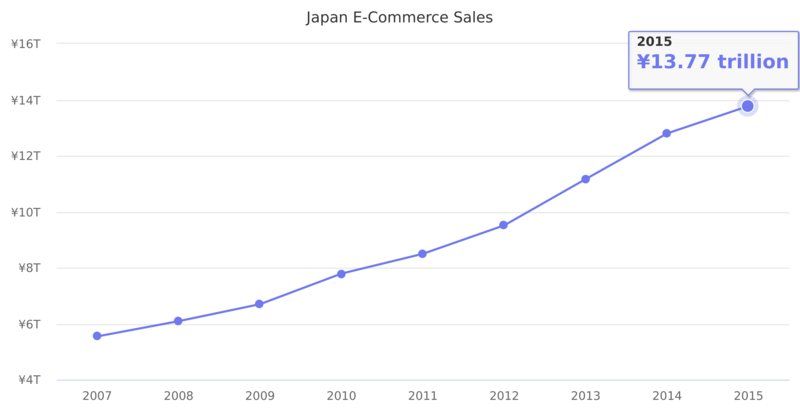 The three big ecommerce sites in Japan, in order of market share, are Rakuten, Amazon Japan, and Yahoo Japan Shopping. Taken together, these sites account for roughly 50 percent of total Japanese annual ecommerce revenue. From ¥12.80 trillion in 2014 it increased by 8% to ¥13.77 trillion in 2015. Source: Ministry of Economy, Trade and Industry. Local currency used, not US$.